It is the oldest tool in any doctor’s bag, and it is as important today as it was 200 years ago. It is not a device, gadget or pill. The side-effects are minimal, and it’s amongst the cheapest remedies around. Despite rapid advances in nearly every aspect of medical testing, diagnostics, imaging and treatment, the aural history provided by patients is still the mainstay of our process. At medical school we are taught early on that the patient’s medical history forms somewhere between 70 and 80 per cent of the diagnostic journey, after which examinations and investigations merely confirm what we’ve already heard and suspect is the underlying pathology. In medical school, we then go on to spend a large chunk of our time neglecting the art of history-taking: instead we refine our examination skills, and knowledge of investigations and treatments. I suspect this is because, we, after all, already know how to have a conversation. Therefore, the majority of students believe that all we need to do to become competent doctors is memorise the right questions associated with particular presenting symptoms. 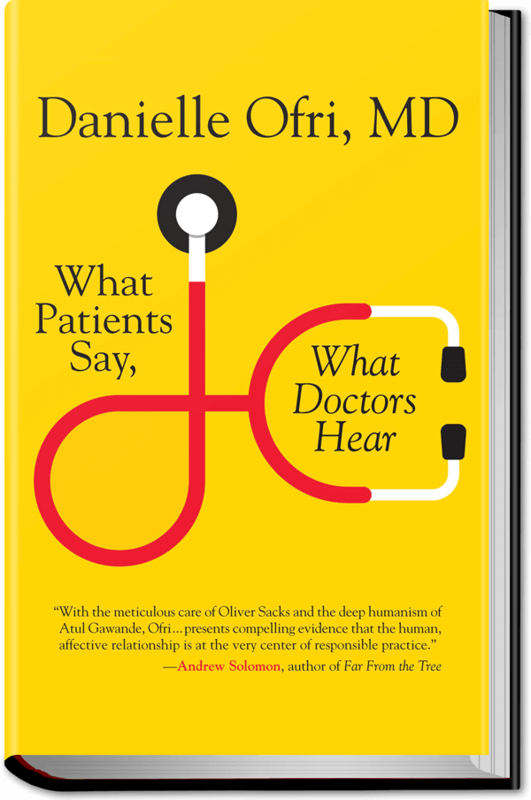 But according to Dr Danielle Ofri’s new work What Patients Say, What Doctors Hear, it just isn’t that straightforward. I’m not all surprised by this – I came to medicine via a colorectal cancer diagnosis in my late 20s, an illness that stopped me in my tracks and sent me off on a different path. As my knowledge of medicine and doctoring grows, so to do my frustrations when I see parts of the system so in need of improvement. In a refreshing re-focus on communication, Dr Ofri’s work will hopefully encourage doctors, both those with experience and those new to the profession, to reflect on how they speak to patients, just like they would reflect on new treatment guidelines and diagnostic tests. Sadly, in the field of doctor-patient communication we have a lot of ground to make up. 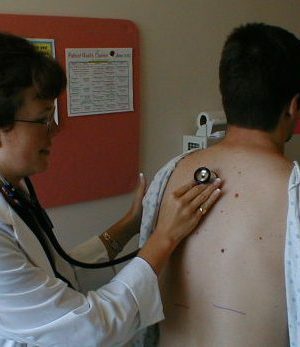 This method of medical inquiry has received far less attention than sexier forms of medical research. If the examples Ofri draws on, and my continued lived experience as a patient are anything to go by, large gains can be made quite easily. So how low is the communication bar? Low. Recently I had a colonoscopy to check for tumour recurrence. It wasn’t until I was in theatre and in the left lateral position with my sphincter exposed, breathing through an oxygen mask and watching the gooey deliciousness of Propofol enter my cannula that I realised I hadn’t met the doctor performing the procedure! Maybe, I thought, they will introduce themselves afterwards. I was mistaken; not even a quick ‘hello’. Dr Ofri discusses the barriers to basic good-quality communication throughout her book: overflowing waiting rooms, fee-for-service, computer interfaces, paperwork and electronic medical record requirements. Despite this, she argues that we can’t afford, as a profession, to compromise our greatest tool – connecting with the sick person in front of us and engaging with them in a meaningful way. Each chapter articulates the benefits of a strong connection: a richer medical history, a better understanding of what matters to patients, knowledge of factors that may limit their recovery, greater patient satisfaction, improved medication concordance, shorter consultation times. The list goes on. Ofri illustrates these benefits using a comprehensive evidence base, drawing on studies into all types of doctor-patient communication from numerous branches of medicine. For example, researchers looked at 335 patient encounters at a Swiss medical clinic where doctors were instructed to ask their opening question and then remain silent until the patient stopped. The average? A mere 92 seconds. Not the hours that Ofri’s colleagues feared would transpire if they stopped interrupting their patients. And what about patients listening to doctors? One study found that fewer than half of patients discharged from hospital knew their diagnosis; in another study less than one in five hospital patients could name the doctor in charge of their care. Given the wide-reaching and humanistic way Ofri writes about communication and her own journey to become a better communicator, I was initially surprised that the book lacked a nice summary for practitioners – something they could take away and memorise. On reflection, and despite our obsession with learning lists, I think Ofri the author rightly avoided this as it’s too reductionist and linear. After all, she spends a great deal of the book explaining how doctor-patient communication is actually a two-way narrative, a kind of shared journey via the spoken word – a conversation. This may seem draconian. But we clearly need to make our communication with patients front-and-centre. More human. And to finally give it weight as a tool – as important as blood pressure monitoring or MRI to diagnosis – that no doctor can afford to ignore.